Accomplished actor, writer, and director Nathaniel Martello-White has been called one of the U.K.’s “leading young playwrights and actors.” With his directorial debut Cla’am winning the Raindance Film Festival award for “Best U.K. Short” and his recognition as one of Screen International’s prestigious “Stars of Tomorrow,” the next few months promise to continue to firmly establish him as an international talent to watch. Currently, Martello-White can be seen on screen opposite Carey Mulligan in Collateral, the four-part BBC miniseries written by David Hare, with SJ Clarkson directing and The Forge producing. Billie Piper and John Simm also star in the contemporary state-of-the-nation project which takes place over four days. The miniseries is being broadcast on BBC Two, which will be followed by a global release on Netflix. This past January, he took on the role of Ade in Jack Thorne’s compelling and critically acclaimed new four-part serial drama Kiri for Channel 4. The series examines the abduction and death of a young black girl who is soon to be adopted by her white foster family, and the trail of lies, blame, guilt and notoriety that follows. Sarah Lancashire also stars. Guerrilla premiered on SKY Atlantic in the U.K. and Showtime in the U.S. in April 2017, and he appeared alongside a stellar cast, including Frieda Pinto, Babou Ceesay, Wunmi Mosaku, Idris Elba, and Zawe Ashton, playing activist Dhari. The Sunday Times Culture Magazine noted his portrayal of the “charismatic, radical convert.” Guerrilla tells the story of a couple and their mission to free themselves of social oppression. The six-part British drama miniseries is set in early 1970s London, against the backdrop of the 1971 Immigration Act and British black power movements. In September 2017, Martello-White appeared in the Peter Mackie Burns directed film Daphne, opposite Emily Beecham as her love interest David. Martello-White’s work on stage, as an actor and as a playwright, is critically acclaimed. Having trained at The National Youth Theatre, he made his theater debut as Romeo in Carl Heap’s National Theatre touring productions of Romeo and Juliet. This was fast followed up with a host of notable stage appearances, including his performance as Lysander in the Royal Shakespeare Company’s 2011 Season of A Midsummer Night’s Dream, Hugh Spencer in the National Theatre’s production of Edward II, and the role of David Skidman in Who Cares at The Royal Court. He was also part of the cast nominated for a Laurence Olivier Award for “Outstanding Achievement in an Affiliate Theatre” for The Brother’s Size at the Young Vic in 2008. As well as talented acting credits, Martello-White’s work as a writer has transcended both screen and stage. His debut short Cla’am had its world premiere at the South by Southwest Film Festival in 2017 and went on to win the category of Best U.K. Short at the Raindance Film Festival in 2017. Written and directed by Martello-White, Cla’am is a dark and surreal comedy about a local man who becomes convinced that a vast conspiracy is behind the impossibly rapid gentrification in his London area. 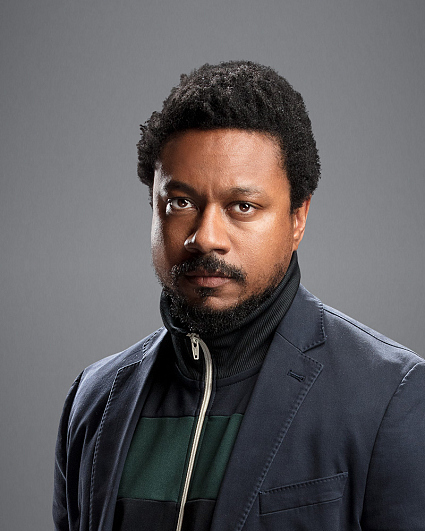 His notable screen credits include Deadmeat (2007), The Sisterhood of the Traveling Pants 2 (2008), Red Tails, Hard Boiled Sweets, and Life Just Is (all 2012). He also appeared in the television programs Trial & Retribution, Party Animals, Mongrels, Misfits, Death in Paradise, and Horrible Histories. He also lent his voice to the BBC documentary Lawful Killing: Mark Duggan, an exploration into the attempts to uncover truths of what happened on the days leading up to the police shooting of Mark Duggan and the unfolding unrest that followed.